Creation of Beer Short Sleeve Tshirt 3XL - is currently on backorder. You may still purchase now though and we'll ship as soon as more become available. 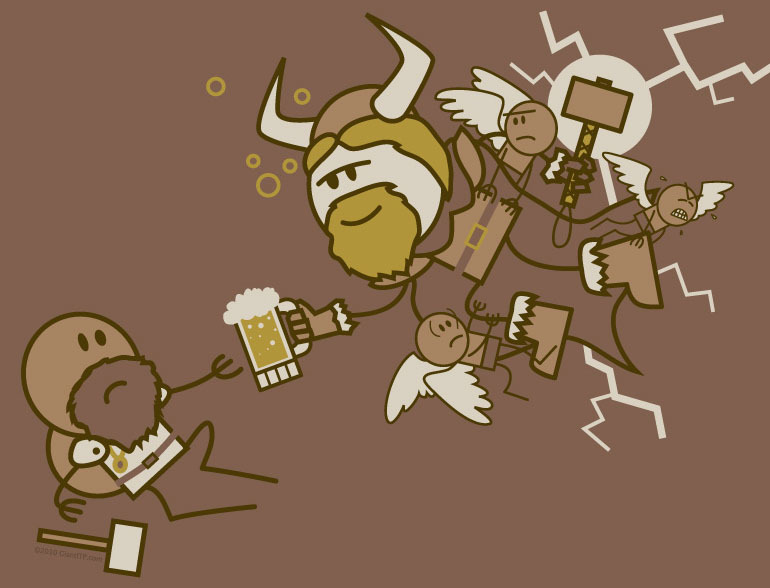 At last, this pivotal moment in dwarven theology has been revealed to all: "And lo! Thor reached down from the heavens and handed the dwarf a mug of something bubbly, saying unto him, 'Dude, you totally have to try this.' And it was good."